There is no other airport in the world like Changi Airport where i would find locals visiting and dining there on a regular day. 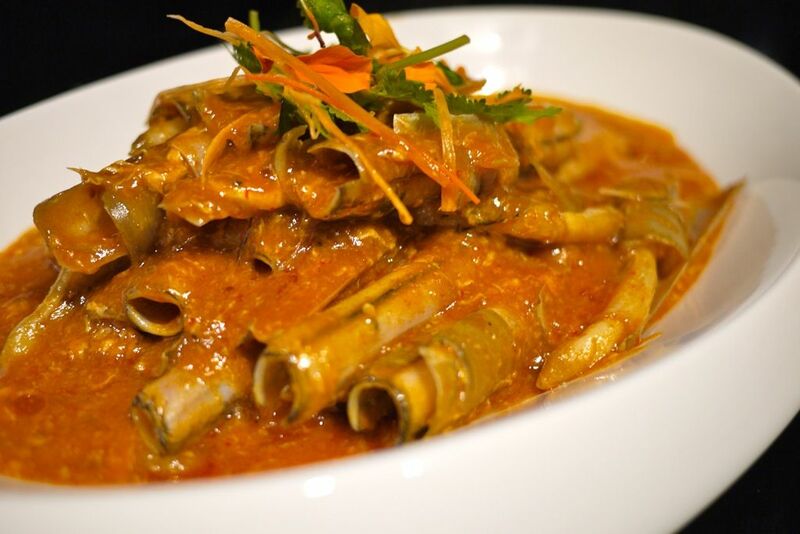 That's part of the charm of Singapore, you can find great food anywhere (except in the west. hurhur.) We're all familiar with the chain restaurants at Changi Airport but the Crowne Plaza Hotel Singapore is not typically mentioned when it comes to dining at the airport. 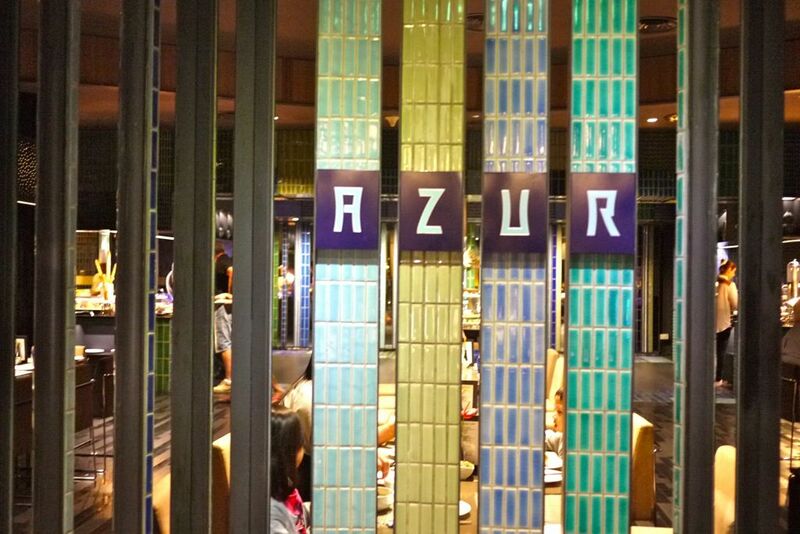 I had the opportunity to check out Azur at Crowne Plaza and their latest offering of premium buffet dinners. 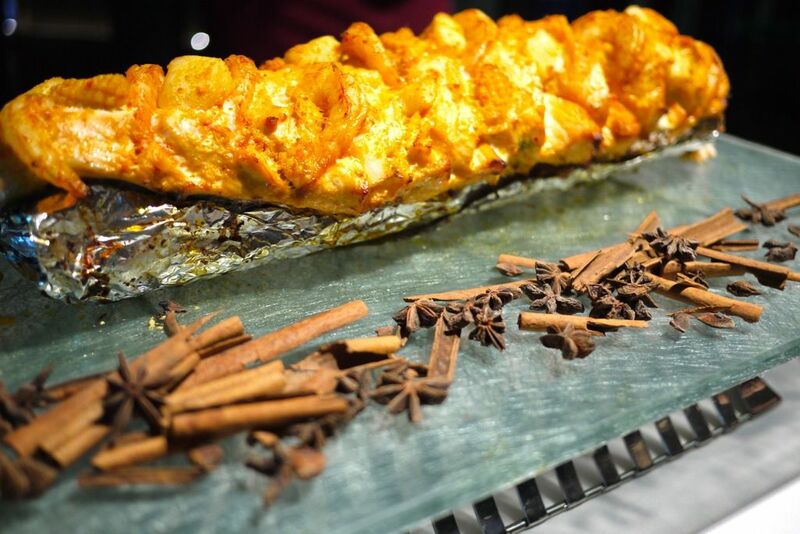 The award-winning restaurant will be launching its first edition of the series, Feast of the Seven Seas, this July over a limited period of two weekends from 19 - 21 July as well as 26 - 28 July. 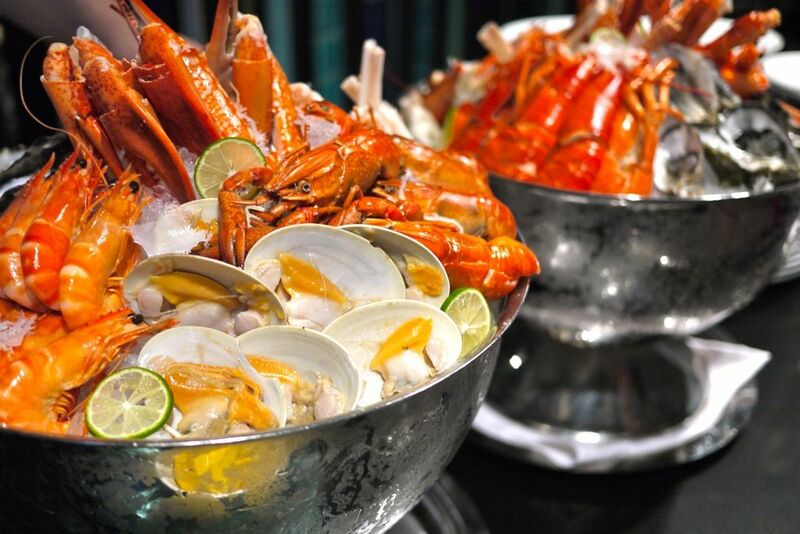 Diners can have their pick of the most decadent and exotic fresh seafood and shellfish: sweet and juicy Boston Lobsters, Steamed Blue Crabs, Tasmanian Crayfish, New Zealand Green Mussels, Freshly Shucked Fines de Claires Oysters, Jumbo Bay Clams and Poached Tiger Prawns. I absolutely loved the pearly juicy oysters and sweet and succulent tiger prawns. 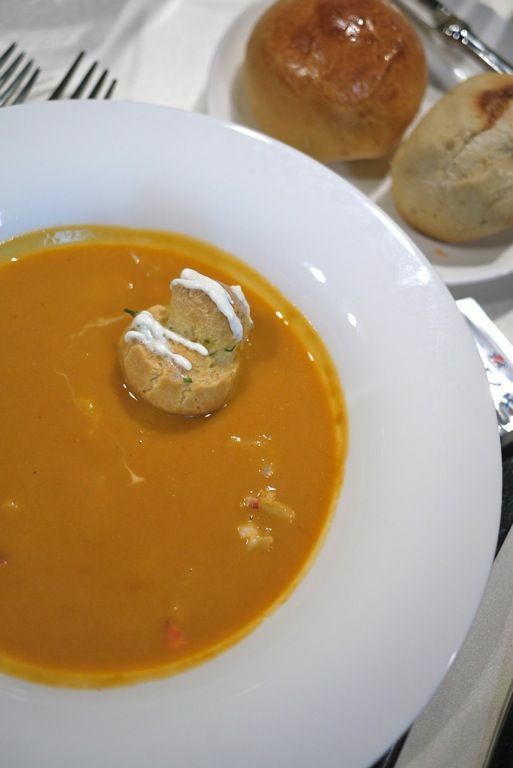 The Lobster Bisque with Tarragon Chantilly Cream with Herb Gougères was rich and creamy without being heavy. It may be a tad salty but i liked the robustness in the flavors. Other delightful seafood dishes available during the Feast of the Seven Seas include Truffle Risotto with Pan Seared Scallop topped with Shaved Parmesan Cheese, Truffle Salt and Caviar Butter, Black Pepper Slipper Lobster, Hawker Style Stir-Fried Chilli Bamboo Clams, Parisian Mussels with Fresh Herb Crumbles, Amritsari Fish, Freshly Sliced Sashimi and Soft Shell Crab Tempura served a la minute. 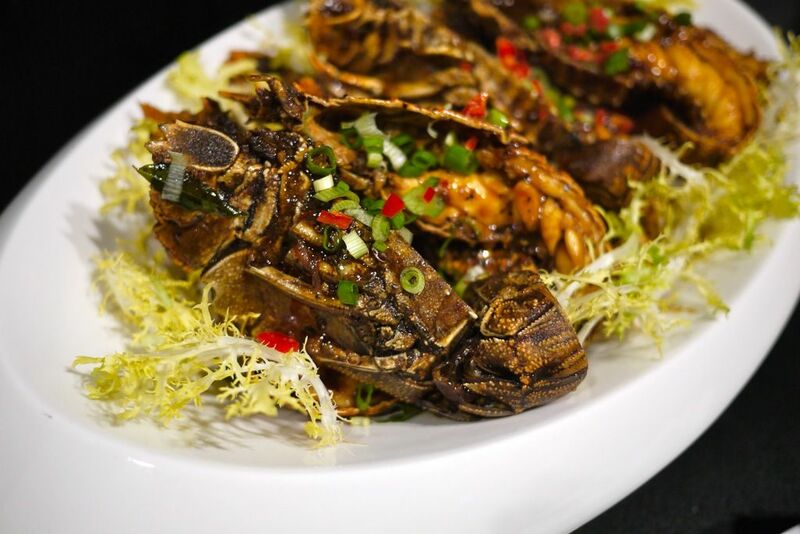 The slipper lobster and the stir fried bamboo clams are of the Singaporean zi char standard. The chili sauce of the bamboo clams is akin to the chili crab sauce but i found the bamboo clams too fishy for my liking. I'm sure Chef has taken our feedback and worked on that aspect. 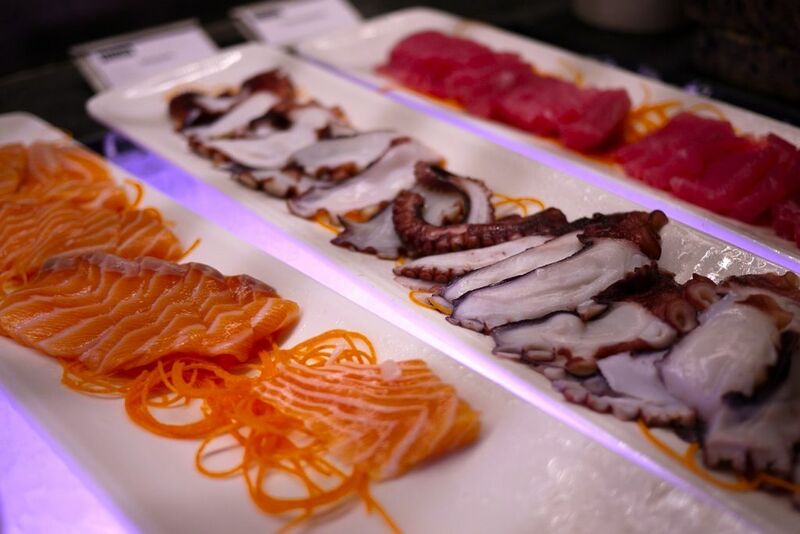 The sashimi slices were really huge unlike some hotel buffets that provide pitiful pieces. I liked that the sashimi weren't sliced in large batches to ensure freshness of the fish. 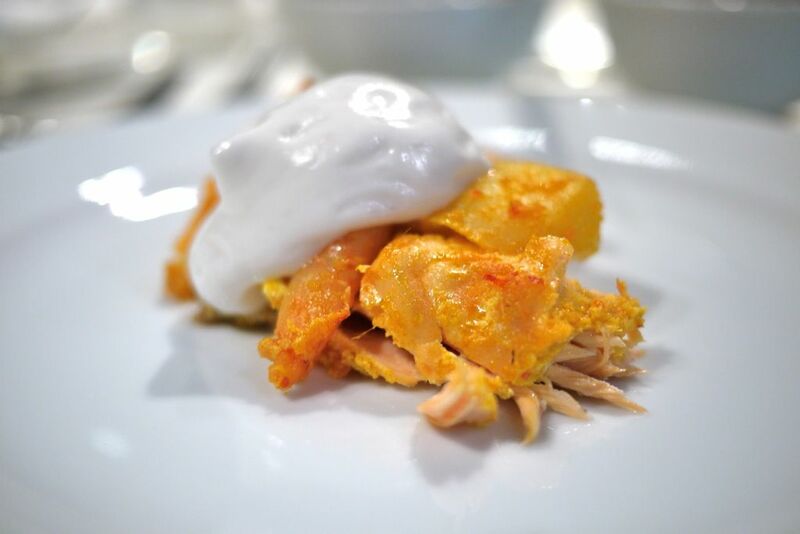 From the carving station, the Baked Whole Salmon with Seafood, Aromatic Spices, Coconut & Lemongrass Espuma is something that you should not miss. This dish is Thai inspired and i loved how the scallop and salmon were fresh and juicy. 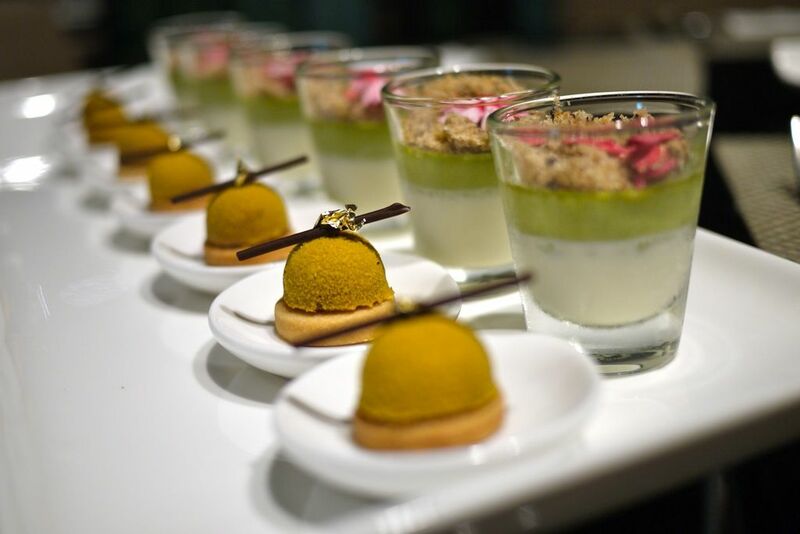 There are many other dishes on the buffet line like the award-winning cheeses from New Zealand, appetizing starters, freshly baked selection of bread and sinfully decadent mini shooters and cakes at the dessert bar. Remember to save space for the Bread Pudding for it's one of my favorites. Diners will also be treated to a complimentary first glass of red or white wine specially selected for its quality and taste by the Azur Team. Feast of the Seven Seas will feature Australia’s Flametree Embers Semillon Sauvignon Blanc and Cabernet Sauvignon 2010. Subsequent glasses of Flametree Embers wines will be sold at a special price of $14++ per glass and bottle purchases will be entitled to a 15% discount. A mocktail will also be available for diners who prefer a non-alcoholic welcome drink. 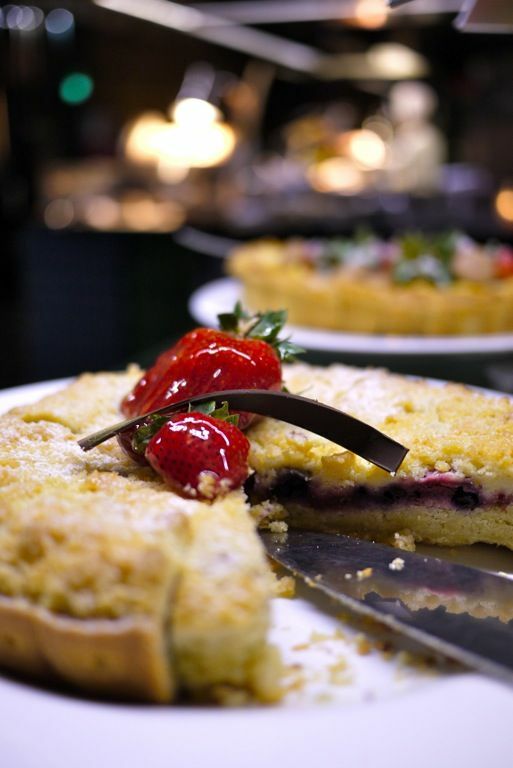 Get 15% off your bill if you make a reservation via the Crowne Plaza Dining website http://www.crowneplazadining.com/index.php/promotions/30-feast-of-the-seven-seas.